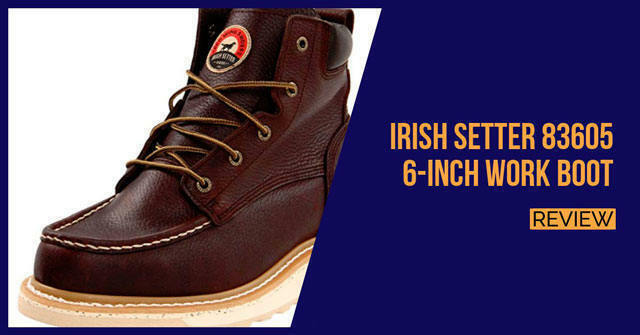 The Irish Setter 83605 is not the most well-known of work boots and it is not the best seller by any means, but we have found it and considered it to be somewhat of a hidden gem that people keep overlooking. 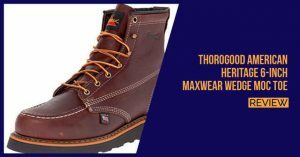 This boot is also made from top grain leather and will ensure that you do have maximum durability. The boot has also been double stitched for durability purposes and improves the longevity of the boot. 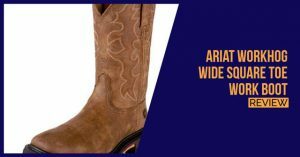 The shaft measures approximately 5.5 inches from the arch and with a boot opening of 13.5 inches, you should have no troubles sliding your feet inside the boot. The boot has also been treated with a waterproof covering and this covering will ensure that your feet do not get wet and the leather will simultaneously evacuate the excess water to keep the boot dry. Rubber sole might seem hard, but it is actually very comfortable on flat hard surfaces like concrete. When you combine this with the comfortable polyurethane footbed, the shoe will also take on the shape of your feet and provide you with some decent comfort if you need to stay on your feet all day long. 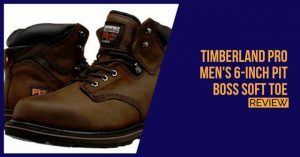 This boots also takes safety to a whole new level and it has been carefully tested to be safe against electric hazards as well as provide you with decent protection against heat. The only thing we think is missing in this boot is the added toe protection. Since you will most likely be working in hazardous environments, we do suggest that you try and find some sort of steel protection for your toes as well. 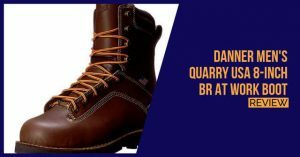 In terms of pricing, this boot is actually really affordable and will definitely be a great buy for anyone working on construction sites or concrete surfaces. 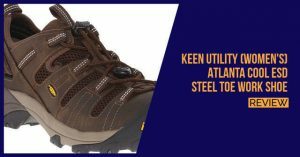 Electricians will also enjoy the overall comfort provided by the shoe and this shoe also features an extremely stylish design. Unfortunately, it will be quite a bit of a challenge to keep the white outer sole clean.